FROM EVERYONE AT THE BACKYARD WILDBIRD & NATURE STORE. 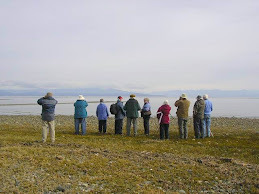 The Sunday bird walk went to Rathtrevor Beach Provincial Park in Parksville. The morning was cloudy with light rain showers and very strong winds off the Strait of Georgia. 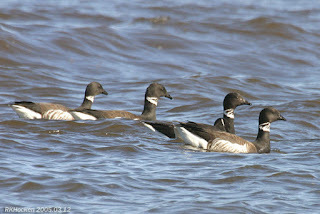 Over fifty Brant Geese were spotted along the shoreline. 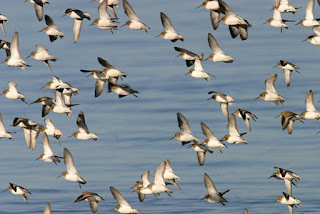 A cloud of an estimated five hundred Dunlin lifted and flew along the shore giving us great views. 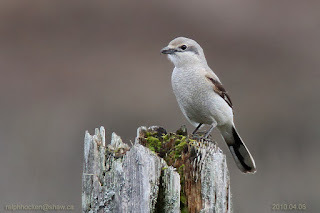 We saw a Red-breasted Nuthatch, three Chestnut-backed Chickadees, five Golden-crowned Kinglets and two Ruby-crowned Kinglets feeding on bushes about six feet off the ground, next to the trail. Over two hundred Pacific White-sided Dolphins were seen corralling herring at Nanoose Bay at 11:30 a.m. The Tuesday went to the Shelly Road side of the Englishman River Estuary in Parksville. The morning was cloudy with calm winds. The highlight of the morning was the sighting of two Common Redpolls feeding in a tall birch tree next to the trail. We heard a flock of Red Crossbills fly overhead. We saw a Golden-crowned Kinglet and a Ruby-crowned Kinglet moving very quickly in the trees along the trail. A large flock of Brant Geese were spotted on the ocean. Ten Gadwall were seen near the shore line. We had great views of a Hairy Woodpecker feeding in a tall conifer. A Brandt’s Cormorant, several Barrow’s Goldeneye, Common Goldeneye and Red-breasted Mergansers were seen just offshore. 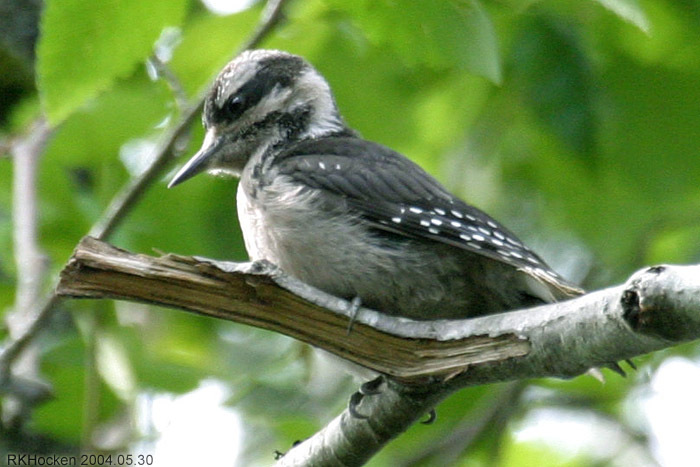 Hairy Woodpecker: Ralph Hocken Photo. 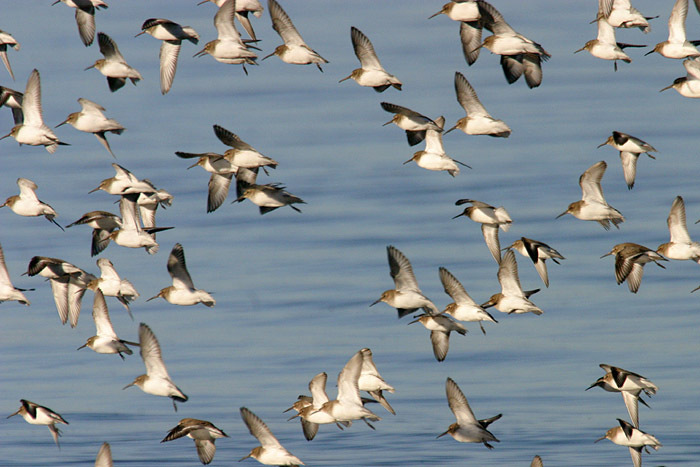 The Tuesday Bird walk on December 19, 2017, will be going to the Plummer Road side of the Englishman River in Parksville. Meet at the Parksville Community Park (at the parking lot in front of the Lions Club Playground) at 9:00 a.m. or at the corner of Plummer Road and Shorewood Drive on the Oceanside of Highway 19A in Parksville at about 9:10 a.m.